The arrival of a new baby is always something special and a reason to celebrate. Most cultures around the world have special rituals to welcome the newborn into the family and the community, and to ensure them the best possible start in life. Here is a selection of some of the most interesting newborn rituals from across the globe: from adorable, to a little strange, to downright crazy (I’m looking at you, India!). In many cultures special traditions mark the end of the first week of a baby’s life. Let me begin with the newborn ritual that inspired this collection: the Latvian pirtīža. This century-old sauna ritual is also known as “pushing bristle” and used to be carried out on the eight day after birth (nowadays the time frame is more flexible). First, the baby is bathed in a warm sauna in a bath made with various healing herbs. Then the baby’s back is massaged with some breast milk until dark grey bristles appear on the skin. These bristles are the glands that produced vernix for protecting the baby’s skin in the womb but are no longer necessary in the outside world. 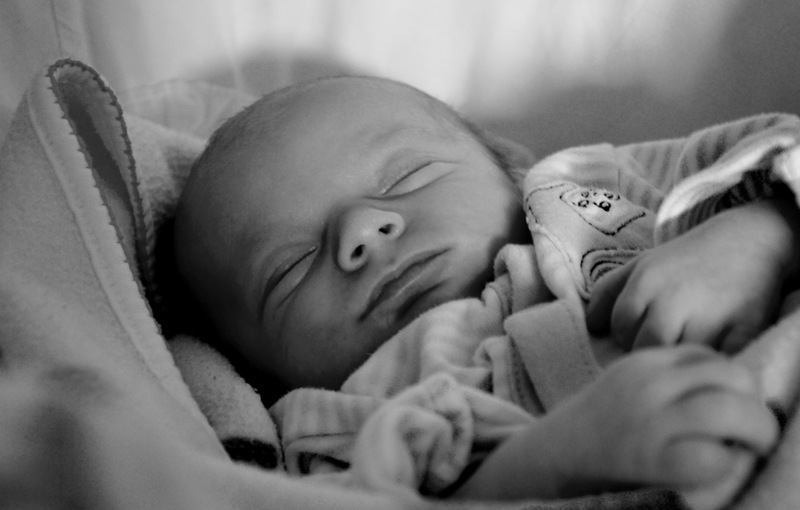 It is believed that after the pirtīža ritual babies are more calm, content, and sleep better. Be that as it may, a warm bath and a massage are certainly something that a baby enjoys. In Egypt the ritual that marks the first week of a baby’s life is called the Sebou’. It dates back thousands of years and is observed both by Muslims and Christians, albeit with some differences. The baby is placed in a special sieve, usually pink for a girl and blue for a boy. The grandmother then bangs a copper pestle and mortar and, together with other women, repeats commandments to the baby in a humorous fashion, for example, telling him to obey his parents. The loud banging is meant to prepare the little one for the noise and disturbances of life, whereas shaking and passing around the sieve with the baby inside is meant to teach that life consists of rises and falls. Do you know any newborn rituals that haven’t been mentioned here? Please share in the comments! These are awesome! What a cool world we live in…but I’m glad I don’t have to throw my baby off buildings or on the air ? Thank you for this great collection of rituals. We all connect through our children. A bit late to this — just followed a link on Twitter. You might enjoy WELCOMING BABIES by Margy Burns Knight and which I illustrated, a nonfiction picture book about birth and infancy rituals.